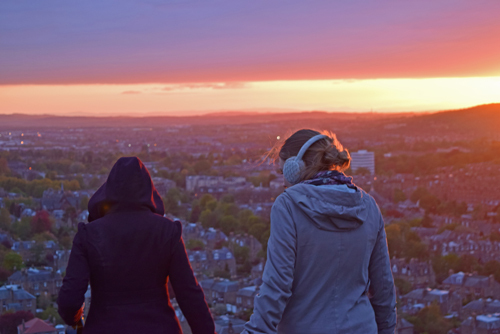 We celebrated my sister-in-law Maria's birthday by watching the sun set from Blackford Hill. It was chilly but worth it. In a beautiful essay, Gerrit Dawson explains why the ascension of Jesus is so wonderful and important. Andrew Marr considers what the UK election means for politicians and reporters and Martin Charlesworth gives his thoughts on what it means for churches. How do a Christian husband and wife think about their service? Hannah Anderson has a good metaphor. The evils of mass produced bread are exposed by Liam Thatcher. There are some amazing pictures of sharks on the BBC's advert article for its new series, unimaginatively entitled Shark.